By default ADFS does not support the objectGUID claim. It has to be manually added. 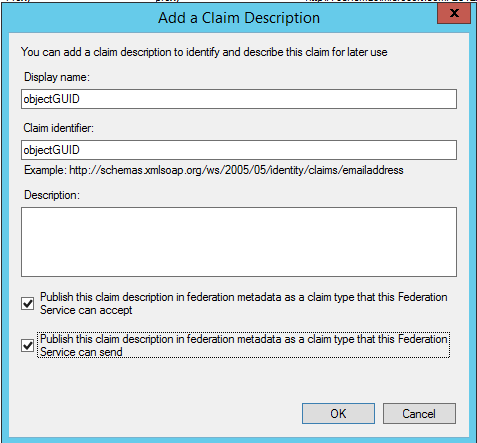 Launch the ADFS MMC Naviagate to AD FS -> Services -> Claims Description -> Add Claims Description. Press 'OK' to complete the claim addition.